Google and Lenovo in collaboration announced their first consumer-targeted product with Project Tango technology at the ongoing CES 2016 trade show – smartphone. The Chinese tech firm plans to launch the smartphone “this summer” with a “less than $500” price tag. Lenovo demonstrated some applications of Project Tango at its joint event, showcasing the indoor area mapping that’s possible with the 3D machine vision technology. Three vertically stacked lenses in the smartphone camera will deliver colour and depth information, while a fisheye lens is supposed to give a wide-angle peripheral vision around the device. All the data gathered by the camera are then compiled by the Lenovo smartphone’s processor, about which the company failed to give details, to build a 3D map of the area. The technology will allow near real-time mapping, with measurements down to the centimetre. The Lenovo-made Project Tango-based handset will run on Android OS and will feature a display size that will be less than 6.5-inches. 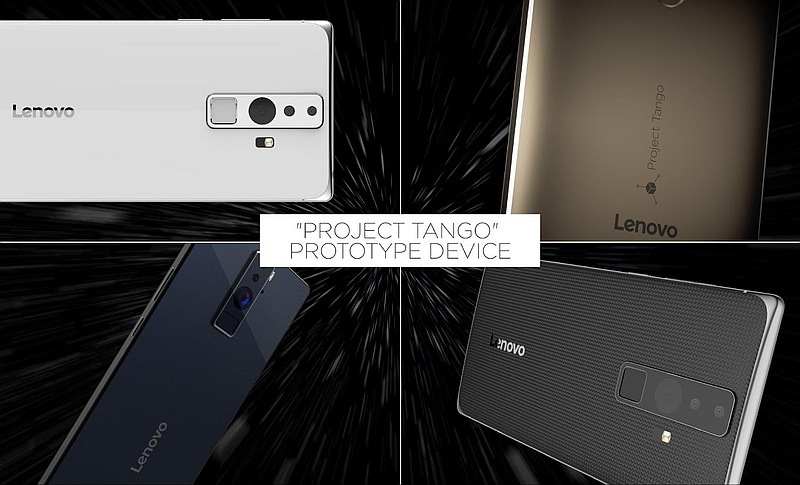 As for the developers, they can submit their Project Tango application ideas to Google until February 15. Selected developers will get funding for their idea, and their apps will be preloaded on the Lenovo smartphone. The search giant will be shipping the smartphone to select developers based on their app ideas. “This was not designed as a niche device,” said Lenovo vice president Jeff Meredith. “We want this to be accessible to a large audience,” he added. Lee, who demonstrated various uses of the technology, said it could help consumers find their way in a large hotel or mall, or take precise measurements of a room before shopping for furnishings. He showed how to get instant measurements of ceiling height, square footage and more, and then tested how certain furniture pieces would look in a room. Project Tango is an imaging technology that uses a combination of various sensors to view the environment around you and generate spatial awareness for your phone. Developed by a team led by former Kinect lead Johnny Lee, Tango was created by Google’s Advanced Technology And Projects group, and uses a number of different sensors on your phone or tablet to create a sophisticated picture of the world around it. An infrared emitter and infrared camera act as a range-finder to measure the distance between your phone and various objects, allowing them to be mapped in three dimensions. A wide angle camera adds details about the location, and other phone sensors including accelerometers, gyroscopes, and barometers combine to help Tango calculate not just what is around your phone or tablet, but also the angle at which you are looking at an object, how far away it is, and what it looks like. Project Tango partners include Nvidia, Qualcomm, and Intel.